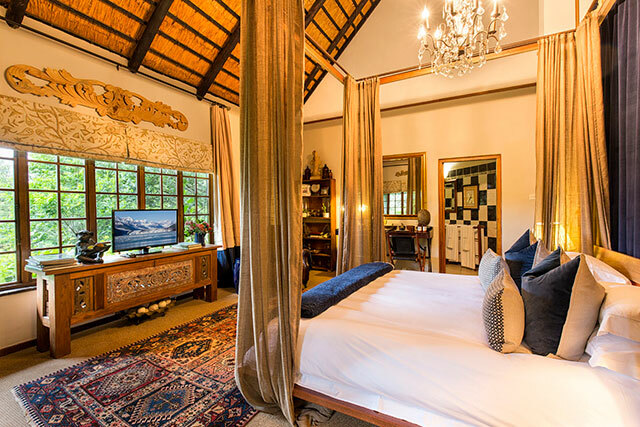 Our individually decorated deluxe suites feature contemporary décor, luxurious fabrics, fine textures and carefully selected artwork to create an ambiance of elegance and understated opulence. 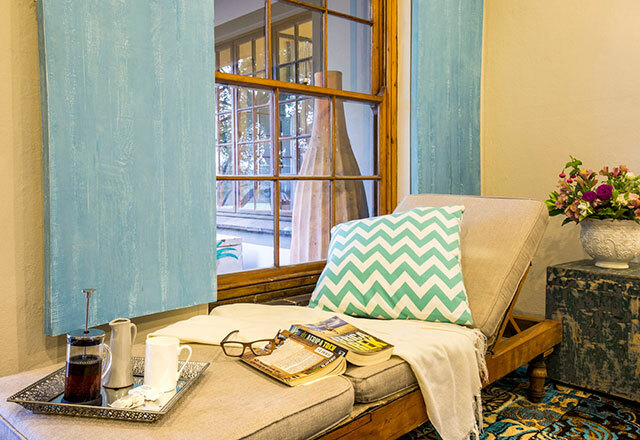 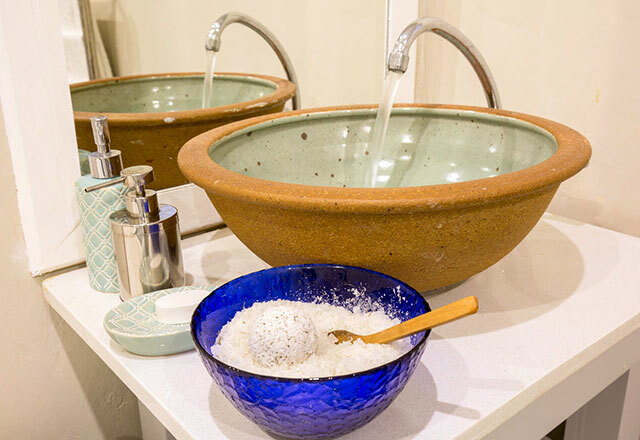 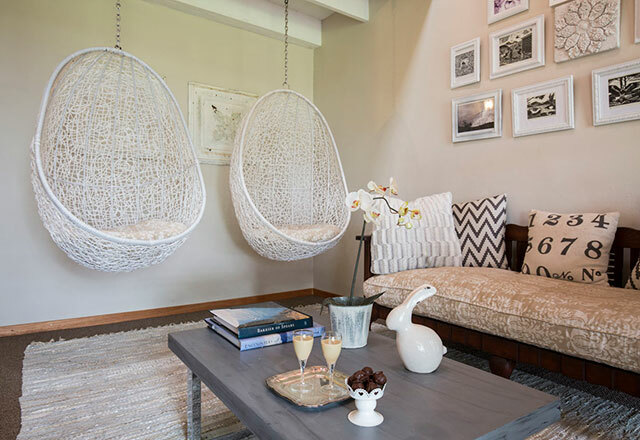 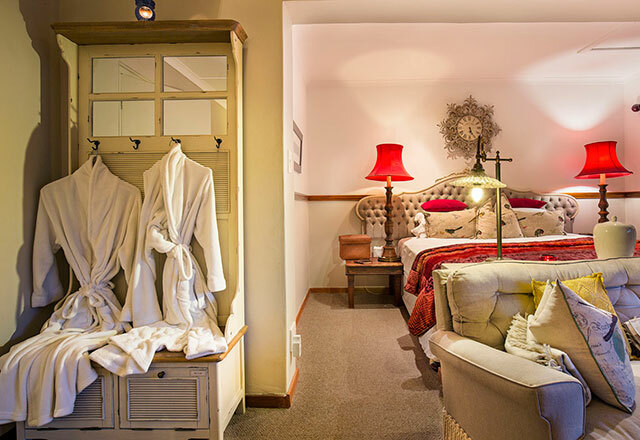 Preview our deluxe suites in the Indigo Fields farmhouse. 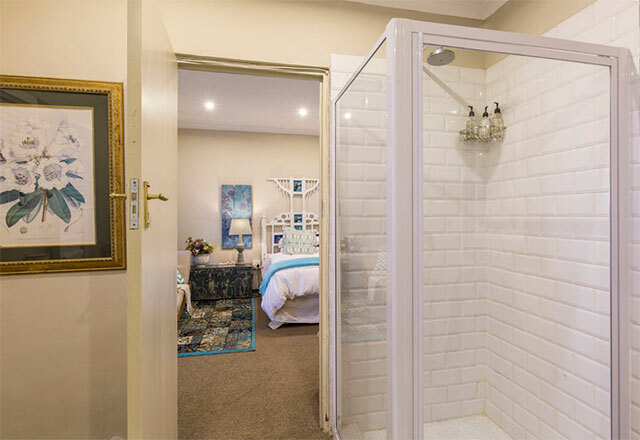 Click on the images to scroll through the slideshow of each room. 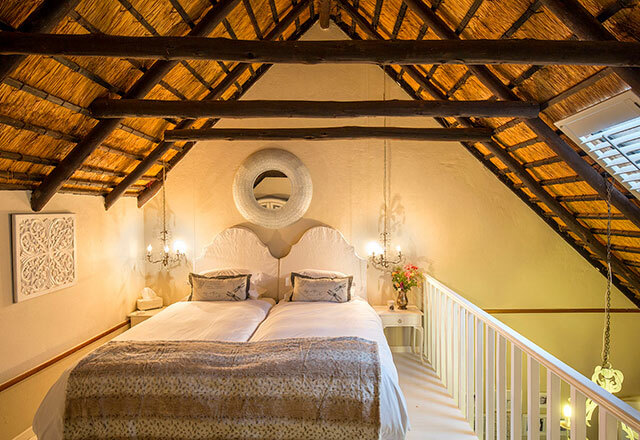 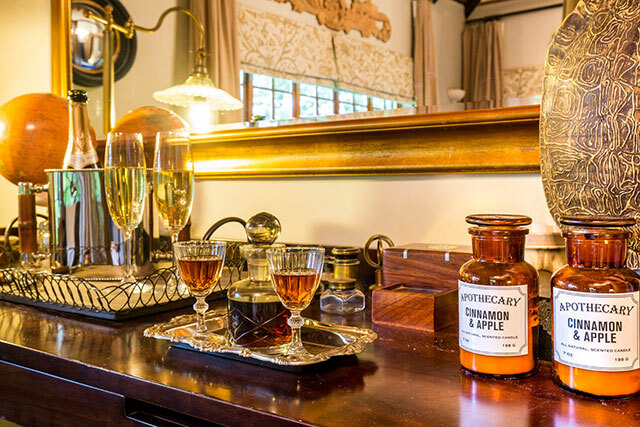 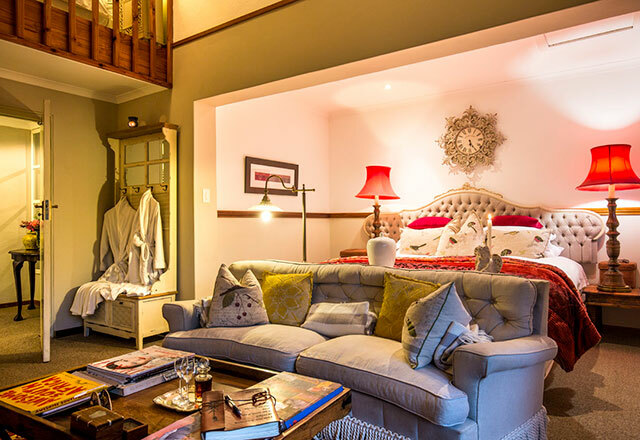 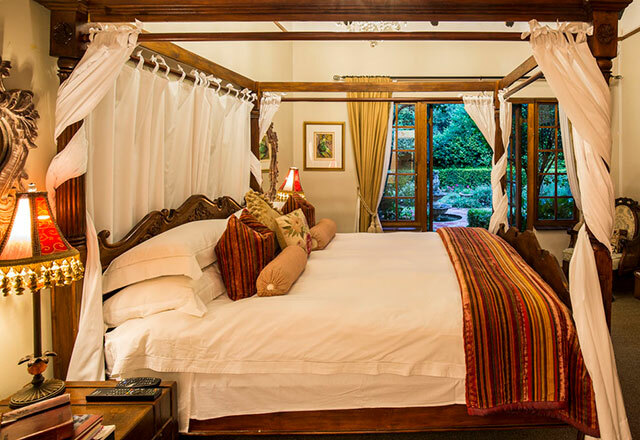 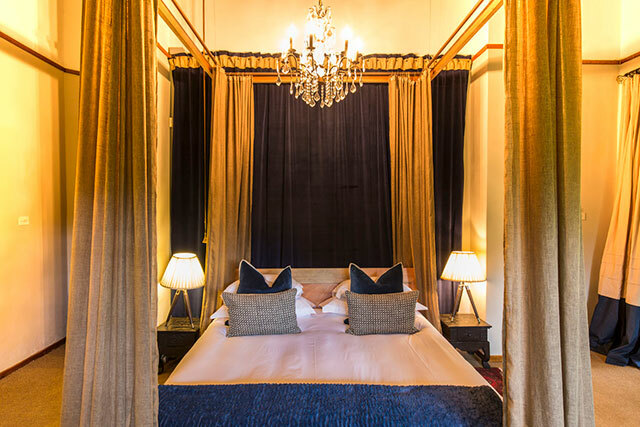 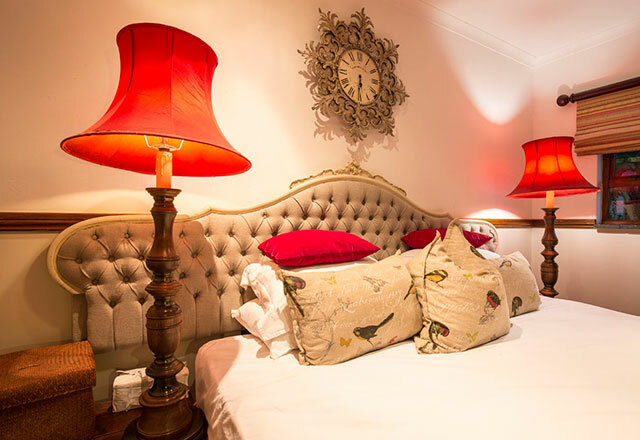 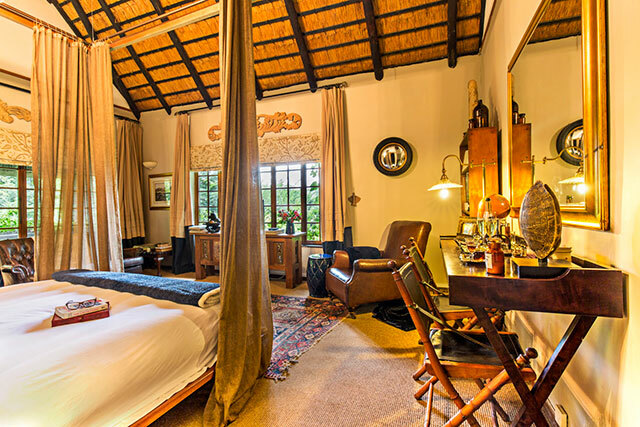 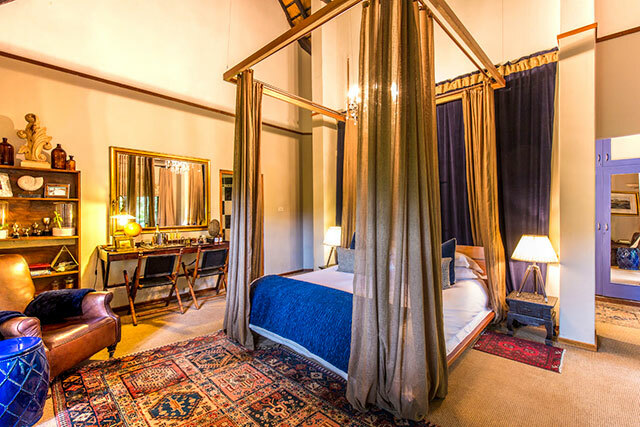 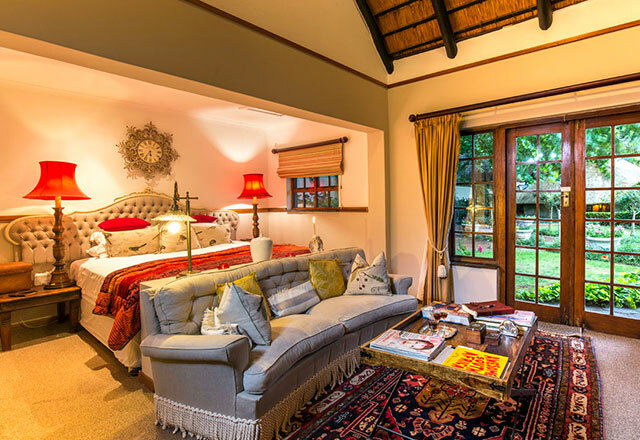 A beautifully appointed suite in the grand old safari tradition, with a king size bed and full bathroom en suite. 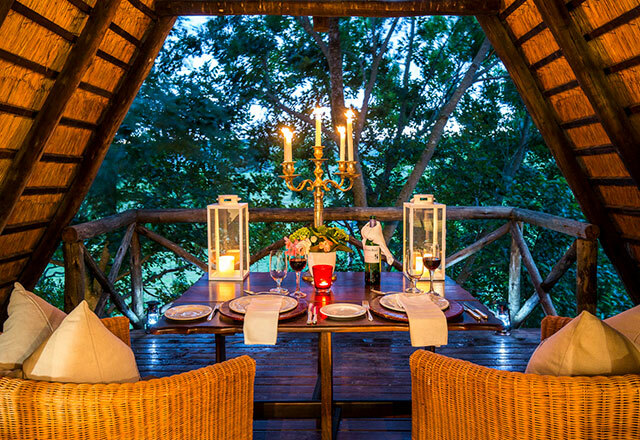 Perfect for a romantic getaway, a private lunch on your deck (weather permitting) and a candlelit dinner just for the two of you in the wine cellar set the tone for a perfect evening. 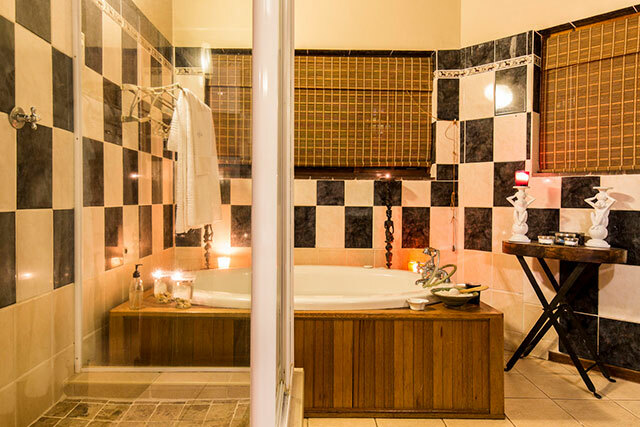 A comfortable suite with two three-quarter beds (or super king size for a couple) and a full bathroom. 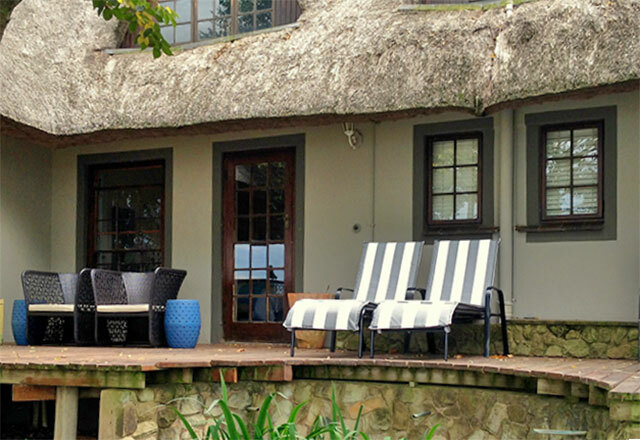 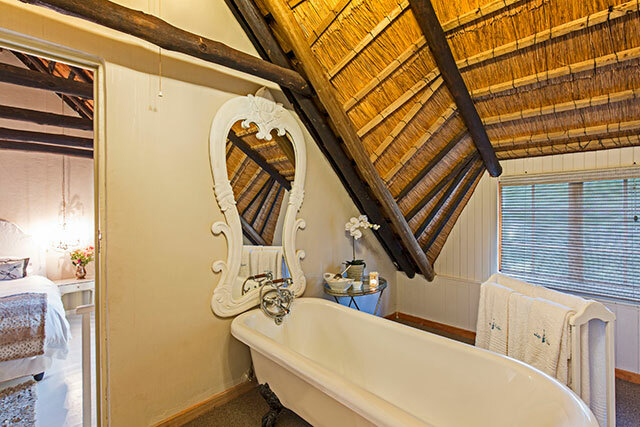 This suite opens onto a wooden deck with beautiful views across the lavender and rosemary fields. 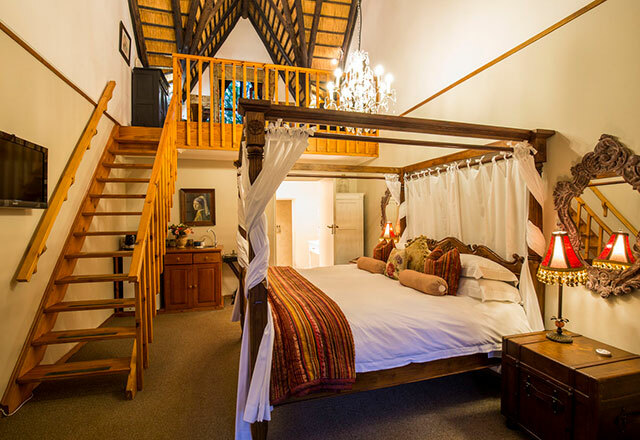 Simply white double loft suite, great for hanging about with a downstairs lounge area which opens onto a wooden deck overlooking the farm. 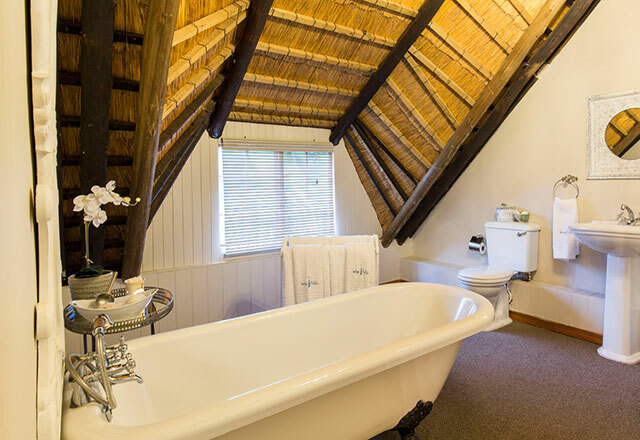 Two single beds (or king size for a couple) in the thatch loft room, with full bathroom en suite. 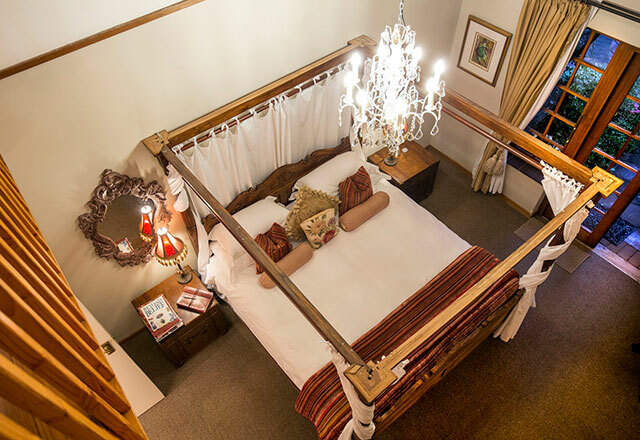 A double loft suite: Downstairs seating and sleeping area with a king size bed and bathroom en suite. 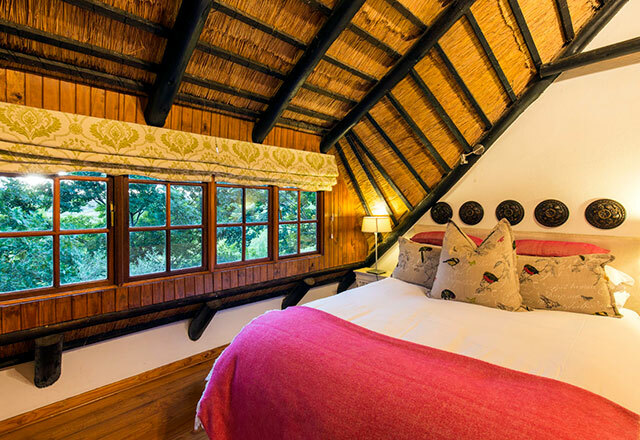 The upstairs thatch loft has a queen size bed. 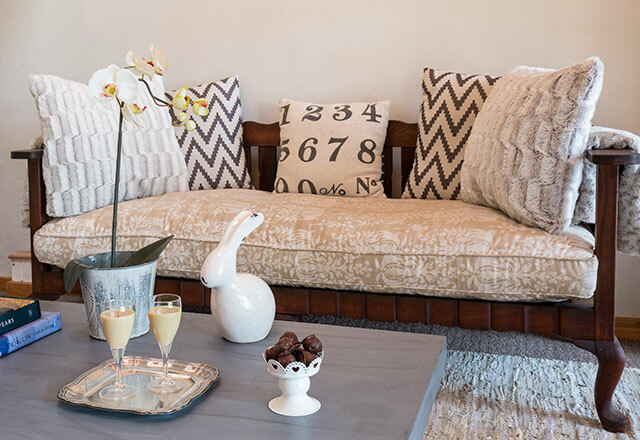 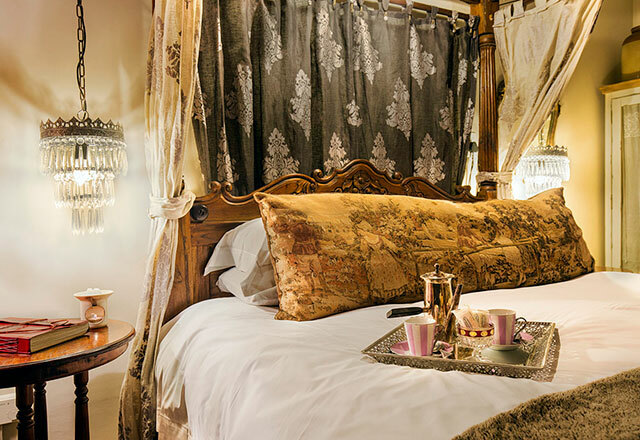 This suite is great for two or three ladies who wish to share. 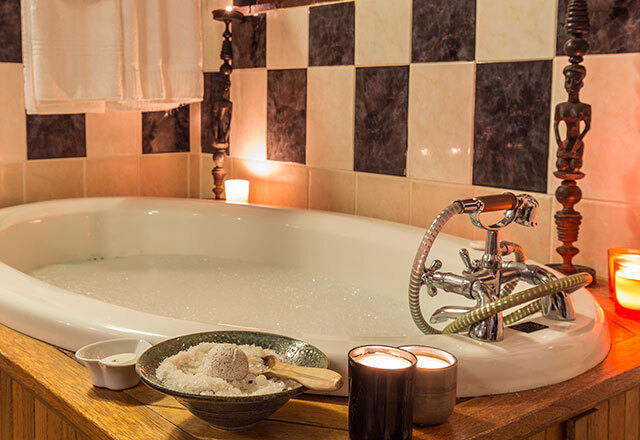 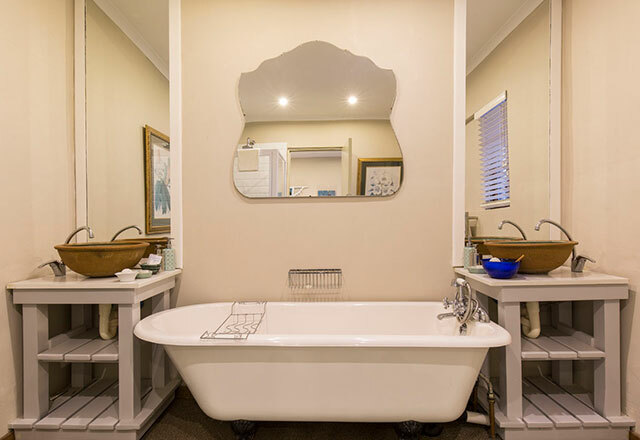 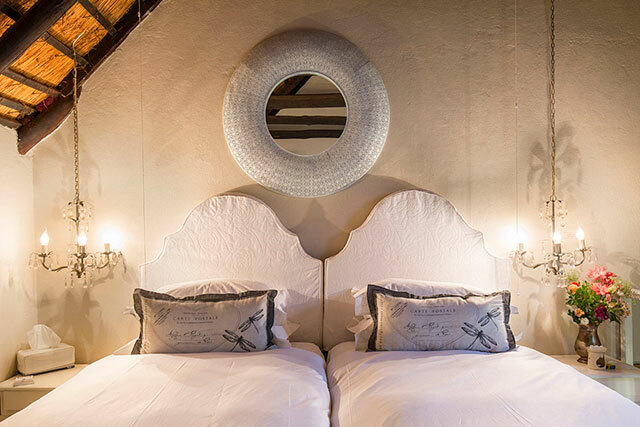 Rose Suite, a romantic double loft suite, downstairs King Size Four poster bed with full Bathroom en suite, an upstairs lounge and a private deck, perfect for a candlelit dinner for the two of you (weather permitting). 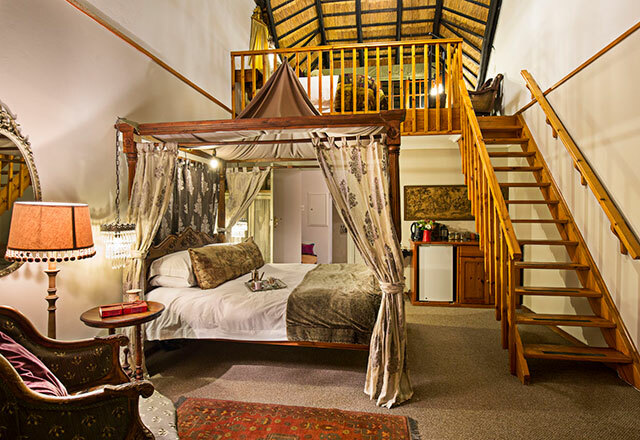 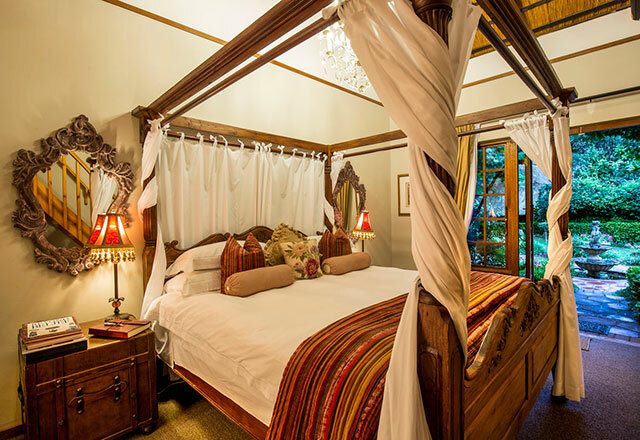 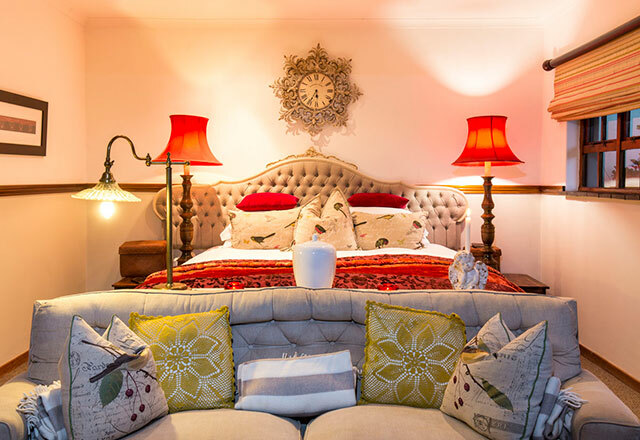 A double loft suite in the Romantic French style, Four poster Queen bed downstairs with full bathroom en suite. 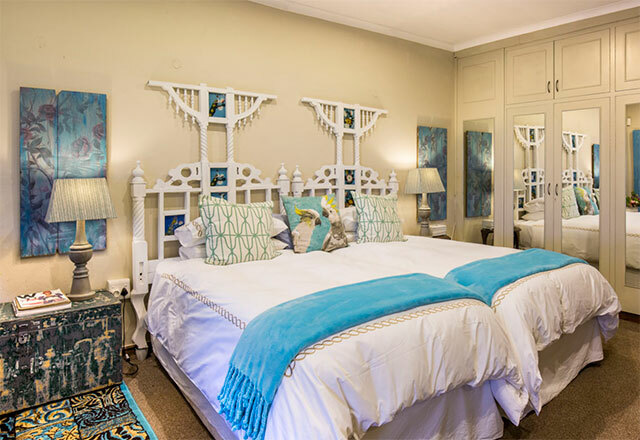 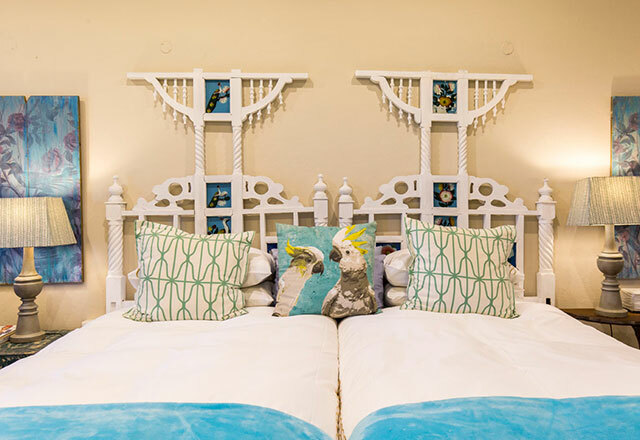 An extra Double bed upstairs, great for a mom daughter getaway.